Like many of you, we loved John Krasinski’s surprise horror hit, A Quiet Place. 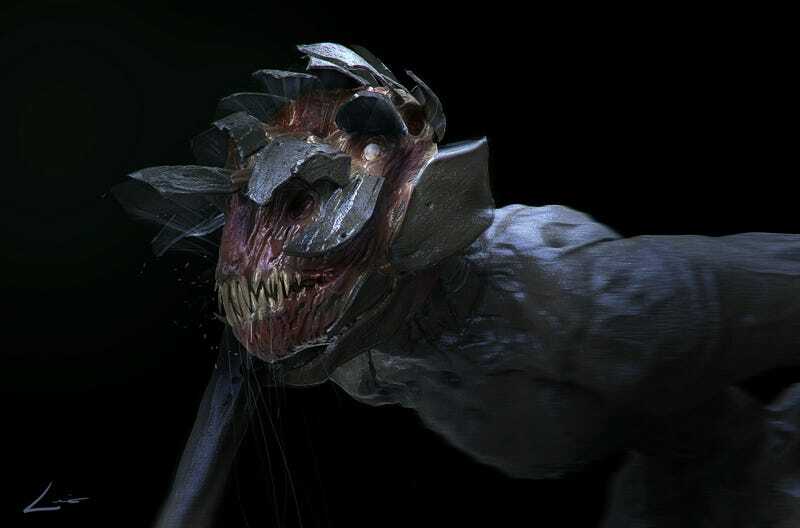 But the one thing most people were “quiet” about during release was what the monsters looked like. 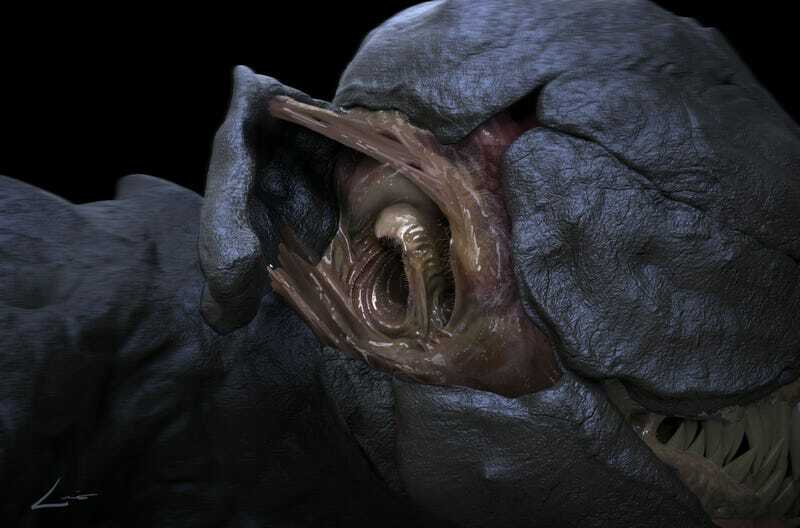 It was such a secret, in fact, that the week after the movie came out, when I wanted to write an article about the creatures’ gruesome, awesome ears (this article, in fact), photos were not made available. Well, now some time has passed and A Quiet Place is coming to iTunes on June 26, so Paramount is letting us exclusively debut a few images from the Image Gallery on the digital release. 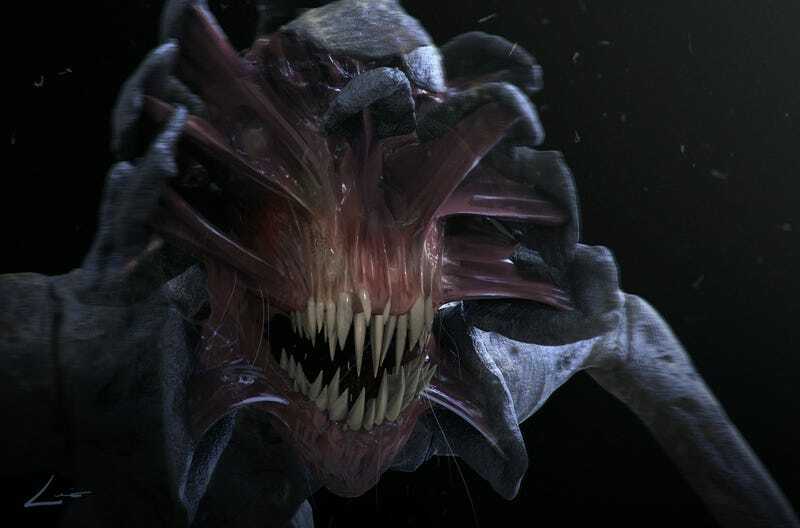 They are, of course, of the amazingly designed, horrifying monsters—and we believe this may be the first time any official images of them have been released online. Those teeth! That exo-skeleton! These are truly terrifying creatures. And yet, I can’t help but call attention, again, to those ears. Holy crap. 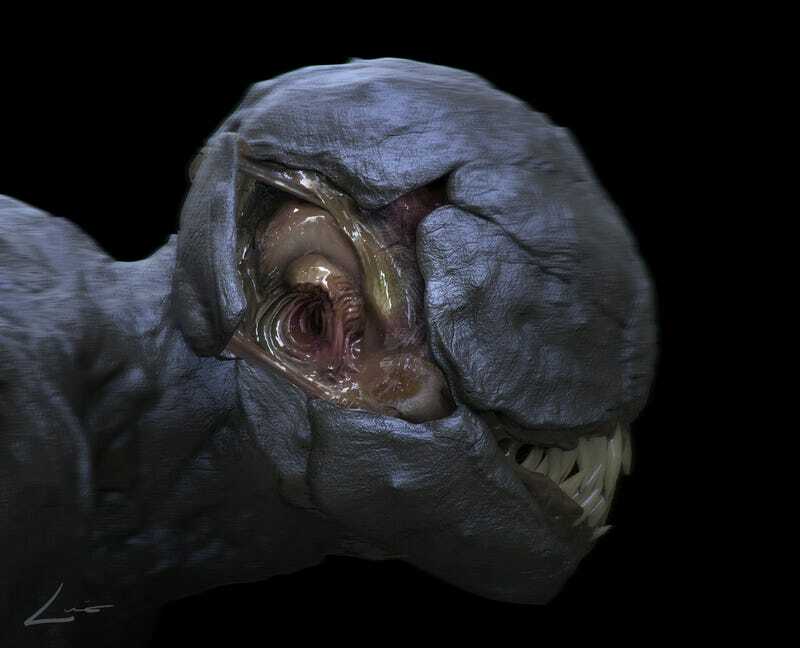 The translucence, the folds... it looks like a xenomorph fetus is coming out of the Sarlacc Pit on the head of a dragon with Venom’s teeth. Or something. It’s just an amazing design. We’ve asked Paramount for confirmation of the artist’s name responsible, though their signature is in the bottom left of each image. 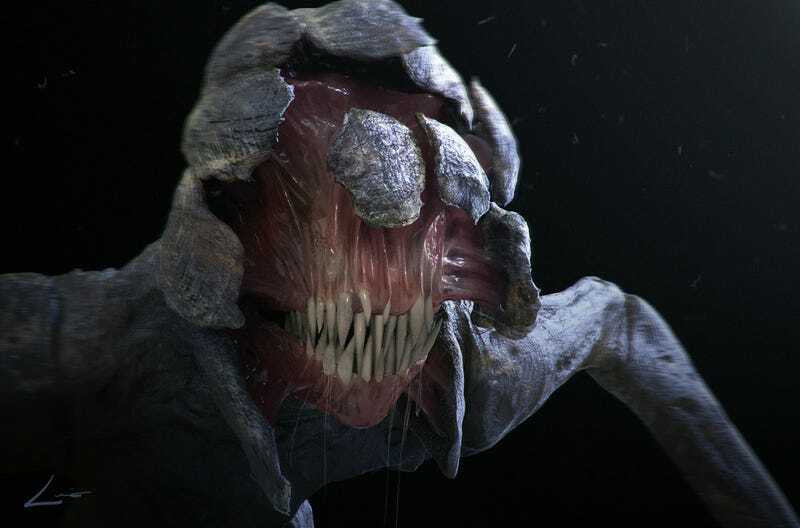 See more concept art and other extras when A Quiet Place hits iTunes on June 26. It will then be available on Blu-ray, 4K Ultra HD and DVD July 10.